In Jenkins, you have an option to create 'New Job' Item, Click on it. Enter Job name and select "Free-Style Software Project" and then click on 'OK' button. You should see header as 'Advanced Project Options' and with a button 'Advanced'. Now Click on "Advanced" option which will display multiple options. Scroll down to see 'Build' option with 'Add Build Step'. In this drop down select value 'Execute Windows batch command' which Runs a Windows batch script for building the project. The text that we enter in the text box will be executed as a batch file. The script will run with the workspace as the current directory which we have specified in step 4. Click on Save button. New Job will be created with the configure options that we have defined. That's It. We have Done. how to create bat file ?? Here it is explained. You can check this. This is nothing related with jenkins and TestNg. What should I do to avoid this error? 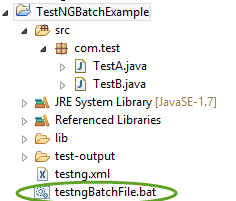 Add all testng jars file in your lib folder of your project which are present at eclipse\plugins\org.testng.eclipse_6.11.0.201703011520\lib folder of your eclipse. I create TestNG suite and bat file and write some basic code of open browser. When I user Chrome it will run and execute successfully but with Firefox it shows error in Jenkins. 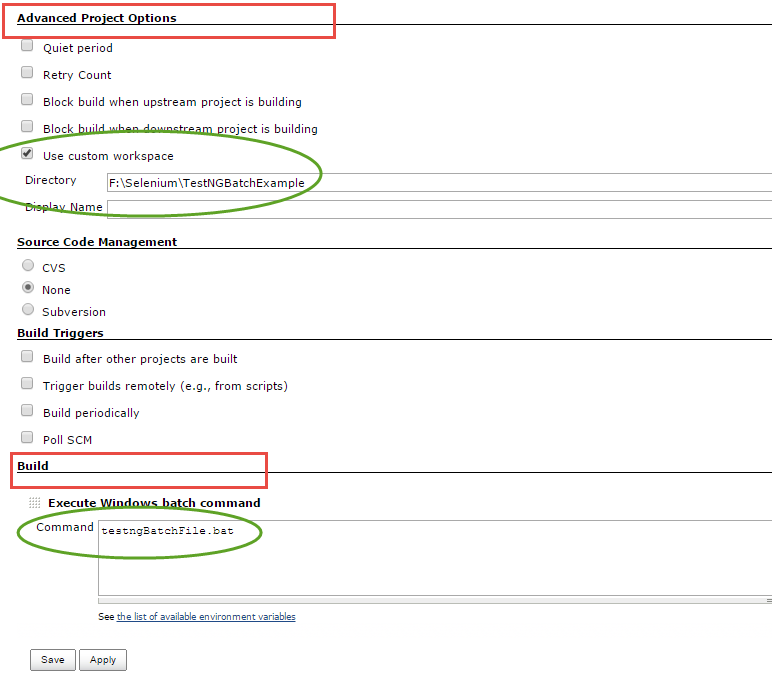 I try to run .xml file in eclipse manually it works fine but that same file is not working with Jenkins. Suppose there are 2 property files :qa1.properties,qa2.properties . 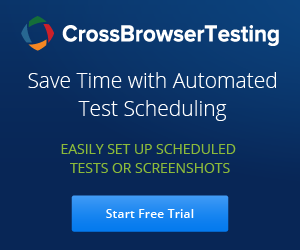 I have a regression suite consisting of 500 test cases .I want to run the regression suite on two qa environments(qa1,qa2) using ANT ,Jenkins.How do i accomplish it?Please suggest. Can you please help me on accomplishing this on Mac? 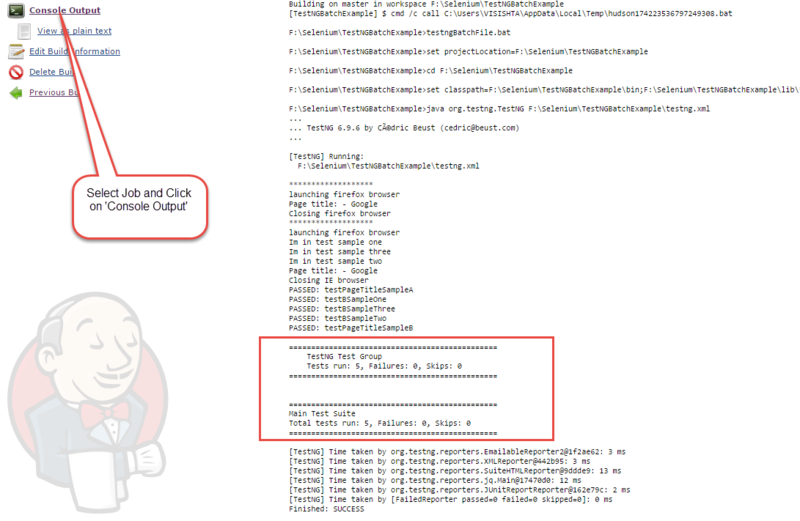 Facing error as java is not recognized as an internal or external command in cmd Prompt while try to run the testng.xml. I am set the enviroment variables in the properly. I am getting the version of java in my command prompt.while try to execute the below code, am facing the above mentioned error.can u pls help me to resolve this..?